Συμμετοχή Registrations period has ended. Preregistration is required. Entry ticket for the fair applies. The world is changing with various newly established and emerging technologies and in this new digital era corporations and organizations are following either by trying to adapt and change internally or looking to cooperate on the outside. Digital Transformation is the effort to realign business models, processes and technology to drive new value for customers and employees and to effectively compete in an ever-changing digital world. 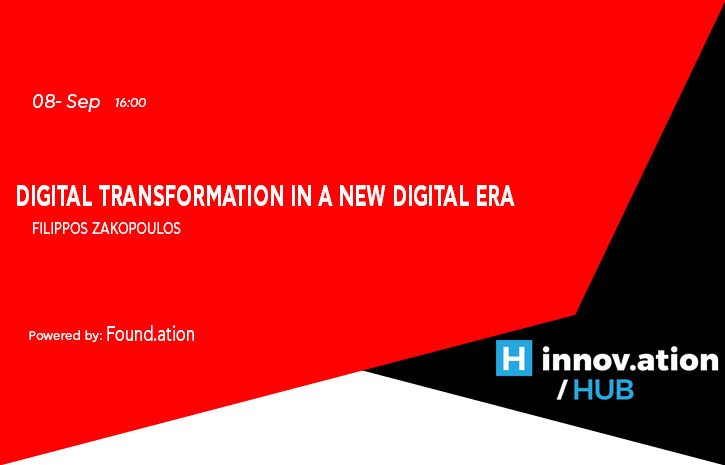 Digital Transformation innovation talk will explore this new digital era and present the digital age stories. check our site for more events.